All decks, regardless of material, require occasional cleaning. A little care and cleaning go a long way to keeping your deck looking great. Sweep all debris off the deck. Wash off the deck with the water. Apply Cleaning Solution. 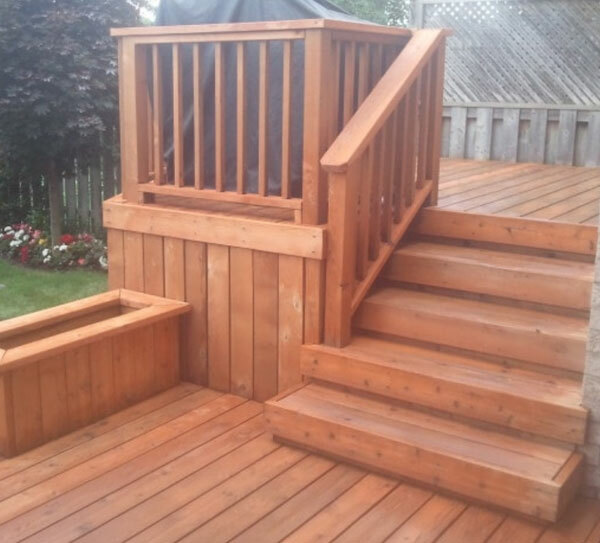 Apply a degreaser/stain remover, or a professional grade deck cleaning solution. Spray the deck clean. 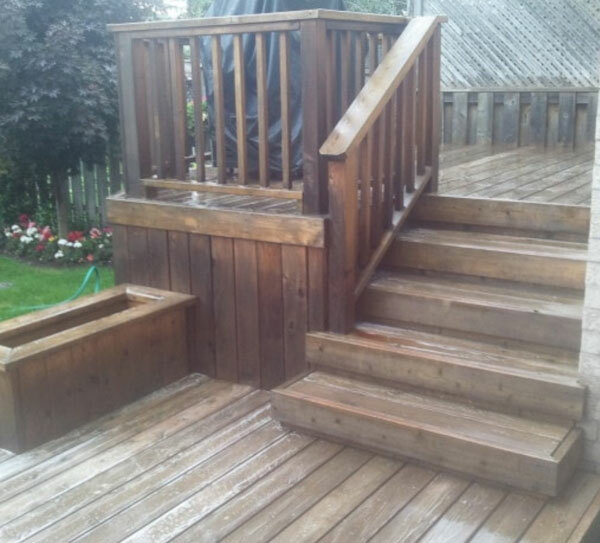 Once the cleaner has been on the boards for the period the manufacturer recommends, spray the deck clean with water. If your deck is looking tired and you don’t have the time to do the cleaning, Hickory Dickory Decks offers professional cleaning services in many areas. Visit HD Outdoor Cleaners. Using Seal-Once eco-friendly coating products, HD Outdoor Cleaners can bring your deck back to life and looking great. The Seal-Once products work great on low maintenance decking, wood, concrete and brick, and are water-based, non-flammable and contain no VOCs, toxins or irritants. They provide deep penetrating protection against water, mold, mildew and UV damage for up to ten years on vertical surfaces and six years on horizontal surfaces. Our experienced professionals will apply the cleaning solution, let it set, then power wash it off to remove any dirt, mold etc. They will then apply the sealer with a clear for lasting protection.